You want the most fuel efficient and the most innovative truck tires in the industry for a wide variety of applications. So you can find the perfect tire to improve your bottom line. 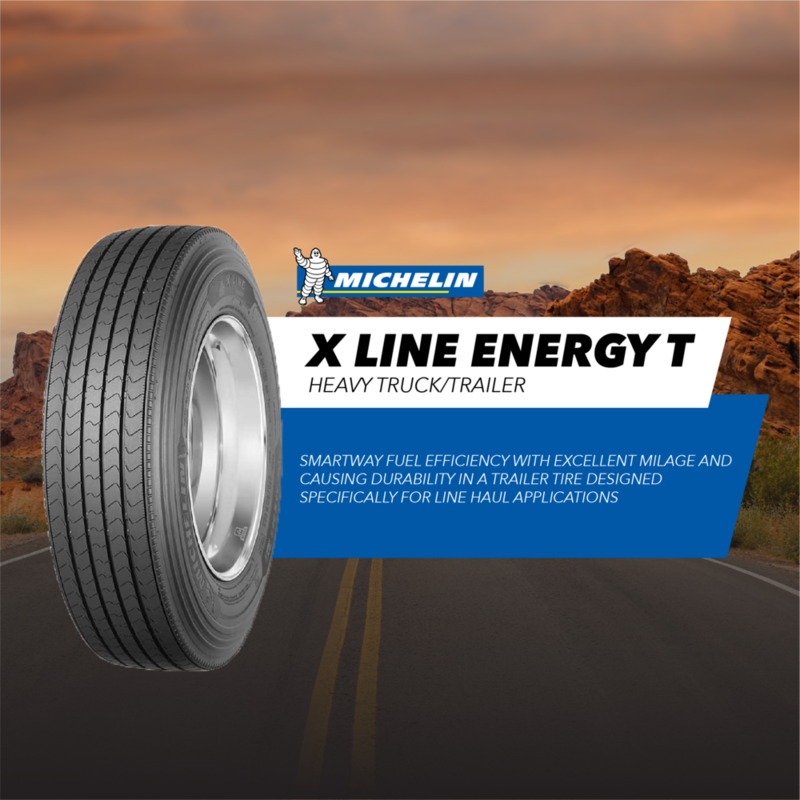 Choose from our industry-leading wide base single tires (including Michelin’s North American most fuel-efficient drive tire), retreads, RV tires and more. Each tire is manufactured using state of the art technology that produces exceptionally uniform tires that are easier to balance for a smoother more efficient ride. Thank you! A member of tire team will be in touch as soon as possible!